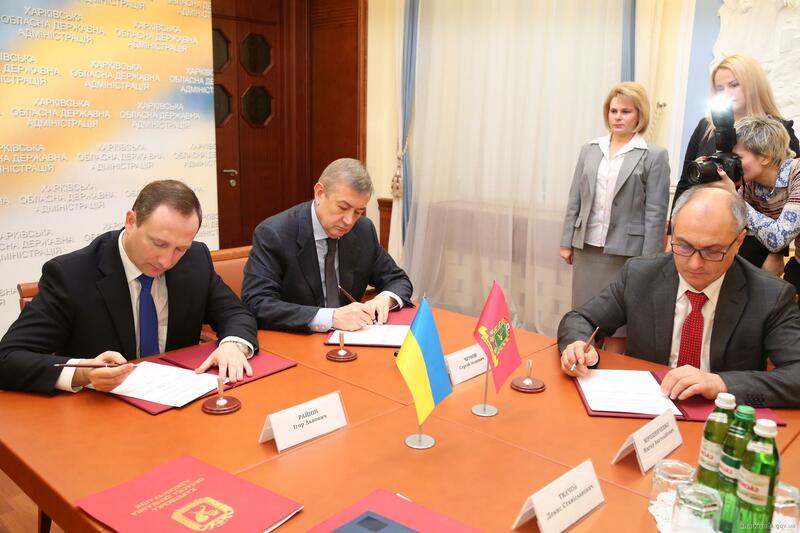 Yesterday, December 7, an agreement on cooperation between the Kharkiv region and the Ukrainian Social Investment Fund (USIF) was signed. The press service of regional council informed that the project is funded with support from the German Government through the German Development Bank KfW. “At the first stage of implementation this project will cover 11 village areas, the new conditions will be provided for nearly 500 people and it will also bring benefit to more than 17 thousand people who will be able to use the services and social infrastructure,” noted the Chairman of the Kharkiv Regional Council Sergey Chernov. During the month of the program, participants must prepare documentation for a mini project and transfer it to the Ukrainian Social Investment Fund. Foundation staff will conduct all the necessary expertise and after approval projects will be transferred to their implementation. According to the executive director of the USIF Viktor Miroshnichenko, Ukrainian-German social project involves the second stage. One year later it is planned to allocate another 14 million EUR. They were sent to repair health care facilities, in which IDPs use services.